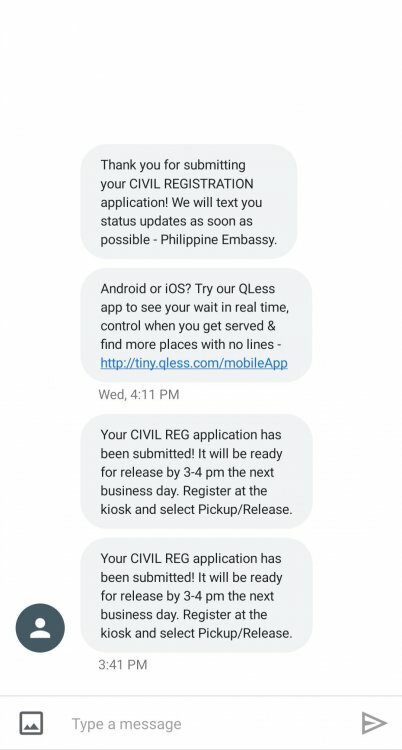 I sent my report of marriage march 25,2019(monday) and it was confirm delivery yesterday(march,27,2019 at 11:45am) Im wondering if anyone submit their report of marriage via mail and how long does it take to get a respond from Philippines Embassy ? and do they call/email you? Our ROM took about 4 weeks. I've heard 3-6 depending. You mean you sent your marriage certificate to the embassy after your interview to the embassy? No, they are registering their marriage with the Philippine government. It's required if the wife wants to change her name on her Philippine passport. This has nothing to do with the U.S. Embassy. no @Zaczon..in our country(Philippines) once we married in a foreign country and if we want our marriage to be documented in Philippines we report that marriage. and @Talako is right.. we also need it if we want to change our passport name into our married name..
Well I hope you get it done successfully. Well. I'm glad we all got through that. do you have any idea what is this means? are they going to return my documents to me?😅i been searching online but no answer about this.. i hope putting a 25 dollars in my application wont be the reason of returning it to us. $25 ? You put cash in the envelope? If you submitted more than the amount that is specified for that form then yes they will return back to you for the correct amount. They do not take extra and they do not take less.